Jackson R. Gualco - The Gualco Group, Inc.
Jack Gualco is the president of The Gualco Group, Inc., a government relations and public affairs consulting firm based in Sacramento, California. Mr. Gualco’s firm represents a wide array of clients from agriculture, business, and the public sector. Prior to his reentry into the lobbying community, Mr. Gualco served as Special Assistant to Assembly Speaker Willie L. Brown, Jr. During his employment with the speaker, The California Journal ranked him as one of the Capitol’s most influential staffers. Mr. Gualco received a master’s degree in Pastoral Studies from Loyola University, New Orleans and an MBA in management from Golden Gate University. He earned a certificate in management from the University of California, Davis. His undergraduate degrees are from the University of California, Davis and Sacramento City College (highest honors). Mr. Gualco has participated in executive level programs sponsored by the University of California, Harvard University, and Boston University. Mr. Gualco is a graduate fellow of the Agricultural Leadership Program. He is a Rotary International Paul Harris Fellow. Mr. Gualco is a member of the Deans’ Advisory Council of the UC Davis College of Letters and Science and is a trustee emeritus of the UCD Foundation. In addition, he chairs the Frank A. Mesplé Memorial Scholarship Fund, an endowed scholarship in the University of California, Davis Political Science Department that seeks to provide young Californians with a practical political science education. He is the immediate past president of the Institute of Governmental Advocates, the association of state-level lobbyists. He received the IGA President’s Award in 2005 for outstanding service to his profession. He was ordained a deacon in June of 1996 for service to the Roman Catholic Diocese of Sacramento. Deacon Gualco is assigned to Saint Ignatius Loyola Parish in Sacramento and serves on the Diocesan Pastoral Council and the board of directors of Christ the King Retreat Center Corporation in Citrus Heights. Mr. Gualco sits on the Advisory Council of the State Legislative Leaders Foundation. 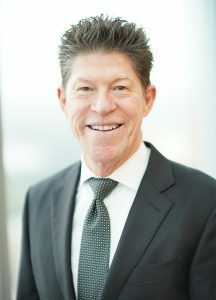 He is a former director of The Sutter Club, Catholic Charities of Sacramento, Inc., and the Cal Aggie Alumni Association. In addition, he continues to serve on various search and advisory committees at UCD. His firm received the Outstanding Contribution to Agriculture award from the California Association of Pest Control Advisers. With his wife, Barbara, Mr. Gualco is an owner of Silverhorne Sporthorse, LLC, a Hanoverian breeding, training, and sales facility in Sacramento County.